WICHITA, Kan. – Jan. 19, 2016 – Baird, an international, employee-owned wealth management, capital markets, private equity and asset management firm, announced today that Chris A. Trumble has been named Vice President, Branch Manager of the firm's Wichita, Kan. wealth management office. 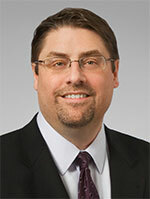 Trumble will continue to serve clients as a financial advisor in his new role. "Chris is a veteran of the financial services industry with a strong commitment to serving clients," said Steve Stroker, Regional Director for Baird’s Private Wealth Management group. "Wichita is an important market for us, and we’re excited to have Chris leading our efforts to build Baird’s presence in the community." Baird opened the Wichita office in June 2015 and added 10 wealth management professionals to the office, including six veteran financial advisors. Prior to joining Baird, Trumble spent eight years as a financial advisor at Morgan Stanley. He began his career in financial services after spending 17 years working at Cargill, where he managed global business initiatives. Trumble is a graduate of Kansas State University (KSU), where he earned two agricultural degrees and an MBA. He is also an alumnus of Kansas Agriculture and Rural Leadership. As an active member in the community, Trumble focuses his volunteer efforts on mentoring youth, including involvement at KSU events and serving on the Maize Unified School District Agricultural Pathways Advisory Board. Trumble currently resides in Wichita with his family. Currently, Baird has approximately 870 financial advisors who have $110 billion in client assets through 85 wealth management offices in 28 states. Baird is an employee-owned, international wealth management, capital markets, private equity and asset management firm with offices in the United States, Europe and Asia. Established in 1919, Baird has more than 3,100 associates serving the needs of individual, corporate, institutional and municipal clients. Baird has $150 billion in client assets. Committed to being a great place to work, Baird ranked No. 5 on FORTUNE’s 100 Best Companies to Work For in 2015 – its 12th consecutive year on the list. Baird’s principal operating subsidiaries are Robert W. Baird & Co. in the United States and Robert W. Baird Group Ltd. in Europe. Baird also has an operating subsidiary in Asia supporting Baird’s investment banking and private equity operations. For more information, please visit Baird’s Web site at rwbaird.com. Certified Financial Planner Board of Standards Inc. owns the certification marks CFP®, Certified Financial PlannerTM and federally registered CFP® (with flame design) in the U.S., which it awards to individuals who successfully complete CFP® Board’s initial and ongoing certification requirements.